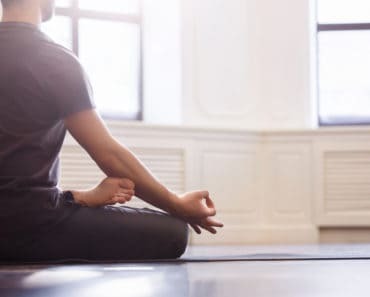 Chances are you'll wear layers to yoga class starting with something warmer and strip down as your core temperature rises. 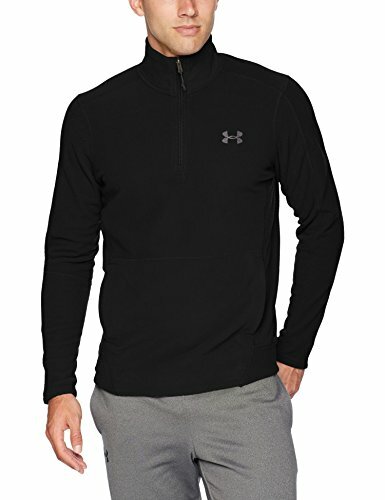 We have you covered listing all the different types of yoga tops for men right here. Yoga has become a really popular mode of exercise for a lot of people. The trend of practicing yoga is increasing because of its relaxing nature and meditative session. It works to boost your flexibility and strength since it is a true test of both. It calls attention to breathing which can help your muscles grow more active. It is also great for the heart since it reduces stress and encourages calm thoughts. 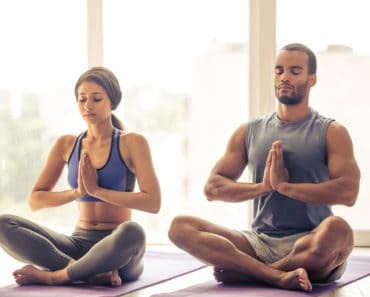 There are a lot of different styles of yoga that may require different wardrobe based on the kind of workouts involved. This is why there are so many different types of yoga tops for men now. Loose-fitting: Gives you plenty of room to move and is comfortable, but it can bunch or fall down when doing inversions. Tight: May feel a bit constricting and is more revealing, but doesn’t fall down (i.e. slide up) when doing inversions. Sleeveless: Cool and gives you unrestricted range of motion for your arms. Also somewhat revealing. Short-sleeves: Popular option since you stay cool, is not revealing and they come in a loose or tight fit. Long-sleeves: If you have a tendancy to get cold or are doing a yin practice in a colder environment, long sleeves can be the best choice. Material: If you sweat a lot, you may want a synthetic material that wisks away sweat. However, if you’re more naturally inclined, you may prefer cotton. You will definitely need a light and airy ventilation tank top if you are planning to do Bikram yoga. Bikram yoga builds up a lot of sweat since it is mostly conducted in heated rooms. It aims to let out the toxins in the body for improved function. If you wear any heavy pants and thick shirts, it can cause suffocation. The sweat will not evaporate and stick to your skin, leaving you feeling intense heat. This can be really dangerous because it can make your body temperature rise, causing you to fall ill. It is important to let your body cool off by letting the sweat evaporate. It is important to opt for cooler, lighter ventilation tank tops that allow you to keep cool and sweat in a healthy manner. Such tank tops are made with thin material so that you can sweat through the fabric. Such materials are also really breathable, which lets your body breathe easily. It allows you to rid yourself of unhealthy toxins. Ventilation yoga tank tops for men are sleeveless and have round necklines to allow freedom of movement. Bikram yoga requires a lot of movement and positions, which is why you will love the free movements that these tank tops allow. There are a lot of yoga types that don’t really have a set pattern of sequence exercises. Vinyasa yoga classes require a lot of changes in poses. 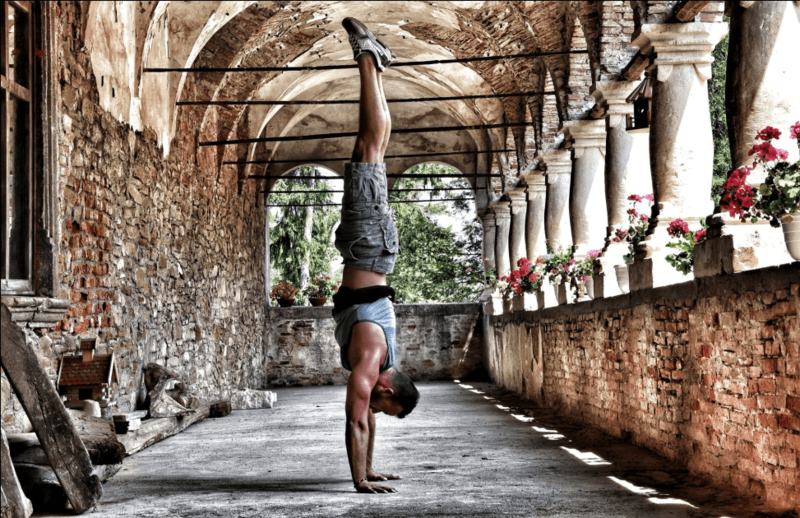 You may be required to do inversions, twists, standing balancing, backbends, and many more. Hatha yoga also uses similar poses or asanas but is gentler. Such poses require you to wear flexible clothing which does not stick to the skin. On the other hand, loose clothing can often lift up and fall over your head or get caught up in your limbs. It can be really hard to do yoga with such clothing. This is why a lot of men prefer the sculpting yoga tank top for such exercise classes. It sculpts against the body so that there is no free clothing to hinder your movements. Since it is a tight a fit, it is advisable to opt for bigger sizes than normal. The surface of the tank top is usually designed to prevent slippage, even when you are sweating profusely. It allows you to bend in any direction and try all the different yoga poses. It is sleeveless so that you are free to move your arms in any direction. If tank tops aren’t really your thing, then a light yoga shirt will be a really good option for you. Such yoga tops for men are designed to have an athletic fit to allow free movement. They come in many different styles and offer a more casual option for men who don’t want to spend a lot of money on expensive exercise wear. The cloth is usually lightweight so that you don’t feel weighed down from the shirt. They are also made from really thin materials, which allow you to remain cool despite heated yoga poses. Such shirts are perfect for yoga that puts a lot more emphasis on meditation rather than movement. It lets you move around as much as you want, enabling you to enjoy a free, peaceful session. Such clothes are really comfortable which is why they are really popular among men. Ashtanga yoga is the one which requires a lot of movement since it involves a lot of different positions. It has a nice flow of set sequences which allows you to know what you are getting into. 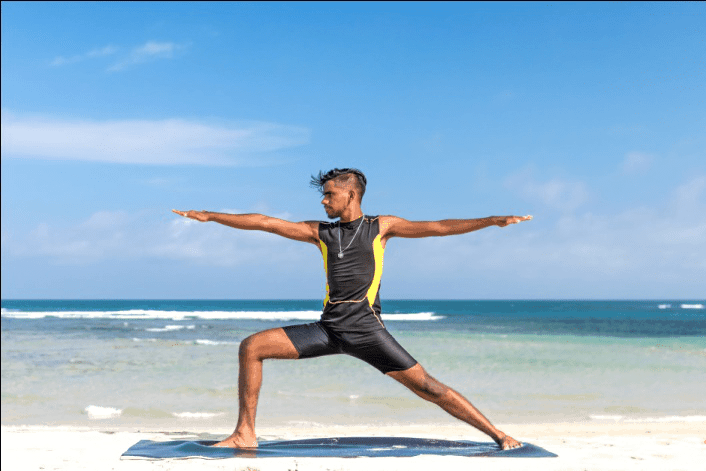 For example, the Bhujapidasana shoulder pressing pose requires you to place the back of your knees on your upper arms as a way to increase your flexibility. It requires a lot of movement which is why a lightweight motion tank top is the best yoga top you can get. It has deep armholes that allow free movement don’t get in the way when you try different positions. You will also need to ensure that the material is breathable since you will definitely work up some sweat. Motion tank tops allow the air to reach your skin through the perforated holes that they have at the back. This allows you to change your positions with ease without worrying about slipping. 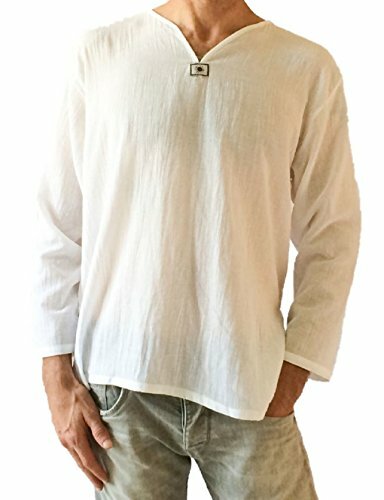 When you want a long sleeve shirt, at least to start the class until you’re warmed up, you can get what’s called a hippie shirt (shown above). It’s a simple, light, loose shirt made from cotton. The only downside is due to the loose-fitting style, they fall down when doing inversions. Otherwise, they’re fantastic. I’m a big fan of hippie shirts. I love these types of shirts as well, but if it’s a heat-inducing yoga class, I yank this type of shirt off after about 15 minutes. It’s great for warming up or a yin style practice. It’s also good to put on at end of class and when leaving so you don’t get chilled. The sleeveless has a cool factor to it, but the loose hood may get in the way. It can be a good warm up top you take off once you’re core temperature rises. 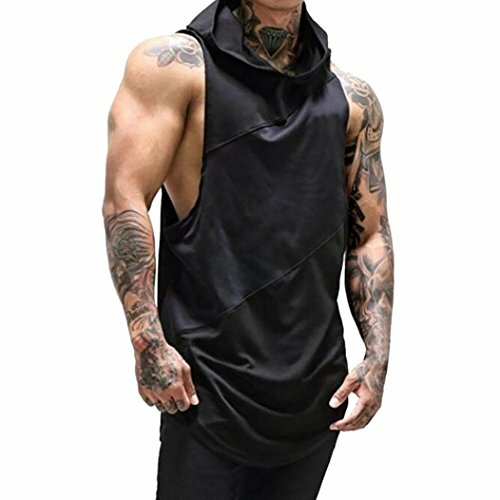 Return to all yoga clothing for men here. 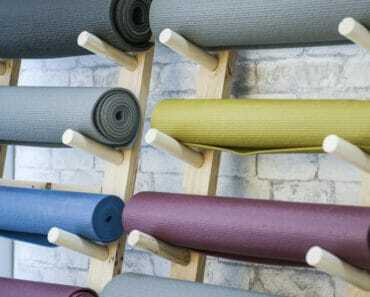 22 Different Types of Yoga Mats – Do You Know them All?